There may perhaps be no other group of investors that’s more DESPERATE today than pension funds. Pensions, of course, are the giant funds responsible for paying out retirement benefits to workers. The idea is that both the employer and the employee typically contribute a set percentage of the employee’s salary throughout his or her career with the promise that, upon retirement, he or she will receive a fixed monthly payment. Many state and local governments rely on these “defined benefit” pension pension plans, as do a handful of large corporations. The reason that these pension fund are so desperate is that the vast majority of them are underfunded. There’s a lot of about how Social Security is rapidly running out of money. But according to Credit-rating agency Moody’s, state, local and federal government pension plans are also $7 trillion short in funding. And corporate pension funds are underfunded by $375 billion. The reason is simple: investment returns are too low. Pension fund managers invest in various assets—stocks, bonds, real estate, etc. with the hope of generating safe investment returns. And that’s precisely the problem. With interest rates still hovering near the lowest levels they’ve ever been in 5,000+ years of recorded human history, it’s very difficult to achieve a significant investment return without taking on substantial risk. Most pension funds require a minimum annual investment return of between 7% to 8% in order to stay solvent and be able to pay out their beneficiaries over the long-term. Instead of being tethered to overpriced stocks, bonds, and mutual funds, a good retirement structure allows investment in alternative assets like international real estate, cryptocurrency, or royalties. California Public Employee’s Retirement System (CalPERS), for example, is one of the largest pension funds in the world. And over the last 10 years, CalPERS’ investment return has averaged just 5.1%. They need 7% to stay afloat. SAFELY earning 7% is a difficult task today: government bonds in the U.S. yield around 2%. Even junk bonds, which are ultra-risky, yield just 5%. Real estate returns are also falling, with the average apartment building yielding between 3-4% according to the National Association of Real Estate Investment Trusts. In fact the biggest apartment-focused real estate investment trust, Equity Residential, earns less than 3%. Bottom line, it’s EXTREMELY difficult for very large funds to safely earn 7-8%. And this matters … because they’re responsible for YOUR retirement. I write a lot about the need to have a good Plan B … a backup plan in case the primary option doesn’t work out. 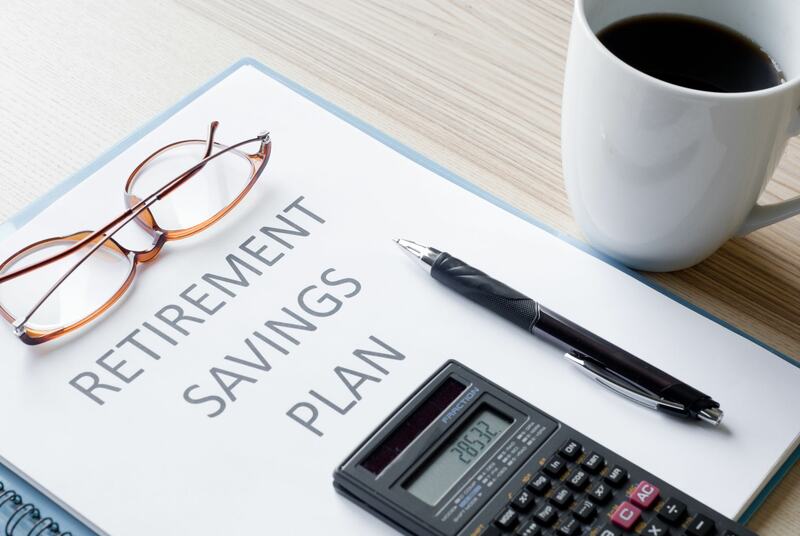 Well, considering that most federal, state and local pensions are VASTLY underfunded AND consistently fail to meet their investment targets, it seems pretty obvious that Plan A for retirement isn’t going to work out. Having a retirement Plan B means getting creative and taking matters into your own hands. Part of this includes setting up a better retirement structure. For instance, a self-directed SEP IRA and solo(k) both allow contributing nearly 10x more each year for your retirement than a conventional structure. Moreover, the right retirement structure provides far greater flexibility in where you can invest your savings. Instead of being tethered to overpriced stocks, bonds, and mutual funds, a good retirement structure allows investment in alternative assets like international real estate or cryptocurrency. One type of asset to consider for your retirement is royalties. A royalty is money that other people pay you in order to use an asset that you own. For example, inventors who own patents receive royalties whenever big companies use their ideas. Songwriters collect royalties whenever their music is streamed on Spotify or used in a TV commercial. Investors who own mineral rights on a property collect royalties whenever a mining company pulls gold or silver out of the ground from that property. Warren Buffett compares a royalty to owning a tollbooth; after you make an initial investment to build the toll road, the upkeep is minimal. But you collect cash forever as vehicles pay you to use it. Royalties are starting to become more popular investments, especially among pension funds. Last month the Canada Pension Plan Investment Board committed up to $325 million for a portion of the future royalties in Venetoclax, a cancer drug. Also in July, mining giant Glencore announced it was in talks with Ontario Teachers’ Pension Plan for a 50:50 venture for its royalty assets (including a royalty for the Antamina copper-zinc mine in Peru, which was expected to fetch around $250 million). Lots of funds have also been launched specifically to invest in music royalties. Round Hill Music Royalty Fund owns rights to more than 4,000 songs from artists like Frank Sinatra, the Beatles, Aerosmith and Billie Holiday. Specifically, they own the rights to Land of a Thousand Dances, a song written by Chris Kenner and popularized by Wilson Pickett in 1966. The song appears in the movie Forrest Gump and various video games, and it generates between $300,000-$400,000 a year, according to the fund’s CEO. Another hedge fund, Shamrock Capital, raised $250 million last year to buy the rights to music, movies, TV shows, and even video games. I’ve even done this myself, buying rights to a country music song. So anytime the song is streamed on Spotify or downloaded on iTunes, I receive a royalty. And while the earnings are by no means guaranteed, music royalties can often earn between 10% to 25% or more each year. That’s hard to find in today’s investment environment. And while the big institutional money is coming into royalties, there are still plenty of opportunities for the small investor. It just takes a little bit of digging.